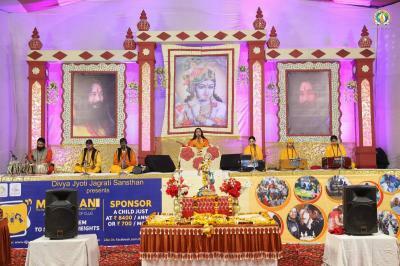 Divya Jyoti Jagrati Sansthan (DJJS) under the divine guidance of revered Gurudev, HIS Holiness Shri Ashutosh Maharaj Ji, organized a seven days Shri Krishna Katha from 13 July to 19 July 2015, in Patiala, Punjab. 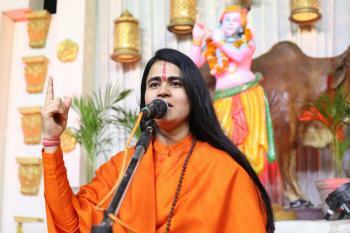 Disciples of Shri Ashutosh Maharaj Ji inaugurated the auspicious katha with the mesmerizing chanting of Vedic mantras, which left the masses exhilarated. It set the perfect ground for receiving the plethora of knowledge imparted by the orator. The DJJS family extended a warm welcome to the chief guests, Maharani Preneet Kaur (MLA, Patiala City), S Amrinder Singh (Mayor, Patiala) and S. Surjeet Singh Ablowal (Chairman, Tourism Corporation, Punjab). 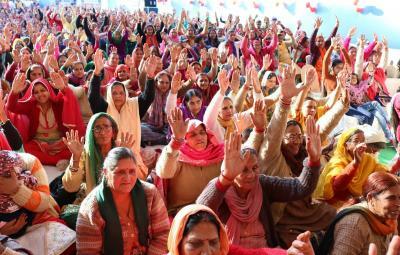 The devoted disciple of our revered Gurudev, Sadhvi Jayanti Bharti Ji took the program to a new height of spirituality and inspired one and all to follow the path of righteousness and devotion that Lord Krishna laid during the ‘dwapar yuga’. 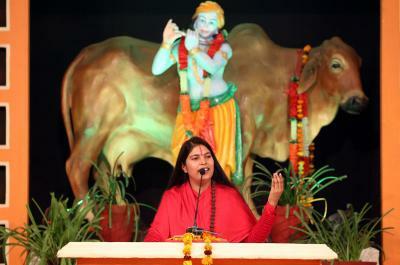 The devotional renditions amalgamated with various stories from the magnificent life of Shri Krishna, kept everyone’s mind engrossed in the bhakti (worship) of the Lord. Lord Krishna was an incarnation of the Supreme divine power, which propagated the divine knowledge of 'Brahm Gyan'. His teachings hold the same relevance and significance even in modern times where evil rules. Mankind needs a divine spiritual intervention and hence, 'Brahm Gyan' is the need of the hour. 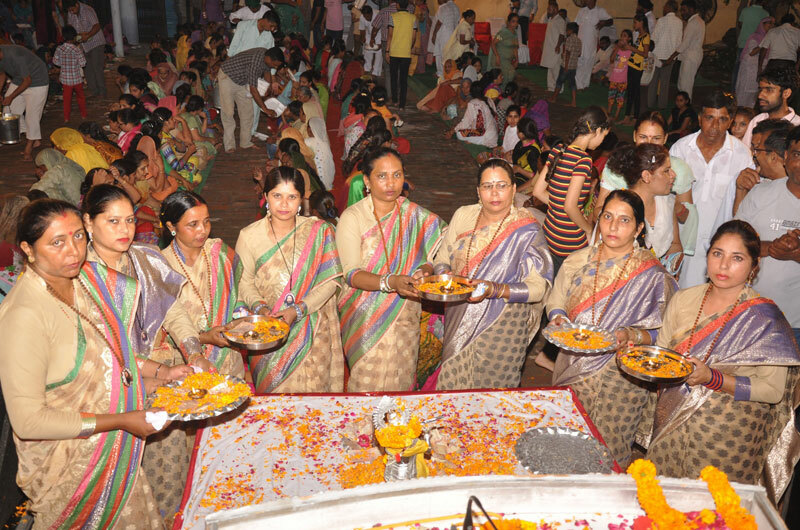 All the devotees present performed the holy Aarti of Shri Krishna, which marked the end of the seven day long event.